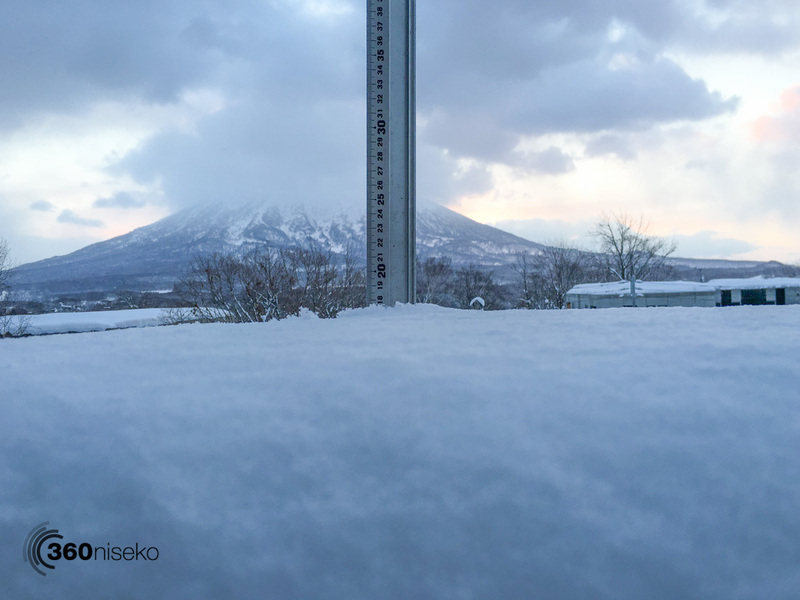 *17.5cm of fresh snow has fallen in the last 24hrs in Hirafu Village. At 7:00 today the temperature was -3°C. Today we again have calm conditions at village level and we have had another excellent top up of japow with at least 15cm coming down after midnight. Hard to say if there has been enough for a total reset on the mountain but there is only one way to find out…..time to get ready and get up there!